This scrub is the perfect product to use for when you would like to have a relaxing bath or a shower in my case as I am not a big fan of having a bath. I rather have a shower. It is inspired by the relaxing spa treatments and it is infused with oils such as Patchouli and Ylang Ylang to calm the body and mind. A combination of two very essential ingriedents if you ask me. 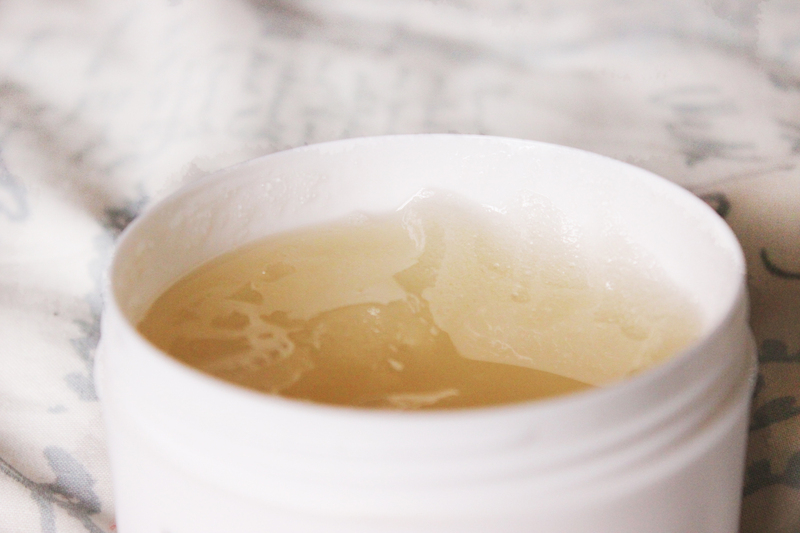 It already mentioned on the outside of the pot that it is a sugar scrub which describes the texture of the product completely. As it literaly feels like you are applying sugar to your body. The scrub contains mango seed oil and natural sugars, which buffs away the dead skin cells leaving a more radiant and renewed looking skin. When you apply it to your skin it feels a bit rough at first but you just get used to it. Also as you can see on the picture below it is a bit jelly-like, making it a weird combination of soft-ness and rough-ness (are those even real words? I couldn’t think of better words to describe it). 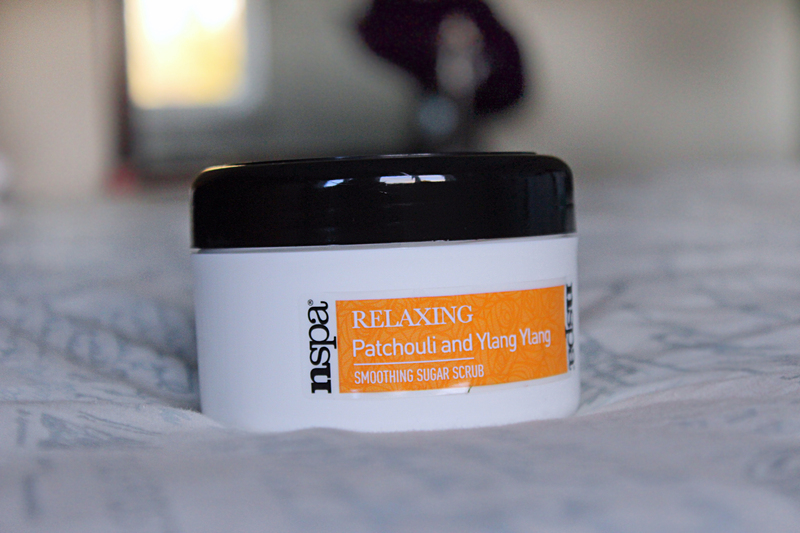 The base ingredients of the scrub are Patchouli and Ylang Ylang. Both have their unique role in this scrub. Patchouli is an oil extracted from the leaves of a plant which is well-known for its deep, earthy and musky fragrance. There is so much more to this oil than just it’s scent as Patchouli has long been used in skin care for its ability to help ease pain. Some examples for these are that it helps to reduce tension, insomnia and anxiety, while uplifting the mind. It is often used as a base note and fixative in natural perfumery. This is truly is one multifaceted oil with many different aspects to it. Palm trees swaying over sun-drenched beaches, exotic spices, peaceful island breezes and the rhythm of the ocean’s song. Such is the power of Ylang Ylang’s amazing aroma for easing the mind off. You can buy this product at Asda whereby they have a deal for 2 for £5. Or at the nspa website. You can also get a complete set of this product which includes shower and bath creme + body oil.